Spring, 2018: As we ring in our sixty-second year, we would like to take a moment to reflect back on 2017 and discuss what we are excited about for the upcoming season. Remembering Jerry: 2017 saw the passing of our father Jerome Selinger. Jerome and his son Steve purchased Oasis Pools in 1981 from the original owner, Ron Spencer, who founded the company in 1956. "Jerry" was a local football star who spent years in heavy construction after his professional sports career ended. Oasis was his third vocation, and he brought a multitude of novel ideas to the pool industry. He was instrumental in the development of several concrete construction methods which we still employ today. Jerry was heavily involved in the day-to-day operations of our company right up until his death at the age of 81. We are all mourning the loss of a truly talented man. Raising The Bar: We have recently completed several of the largest and most complex residential installations in North America. They say that necessity is the mother of invention and we can certainly attest to that. The technical leaps that our company has made in the last few years are tremendous. We have invested in technology, ongoing training for our staff and have hired a full-time licensed engineer. We are confident that we are able to provide the most cutting-edge product available today. Of course, every one of our creations is covered with the best warranty in the industry. As hands-on owners, we still believe that the bulk of innovation occurs "in the trenches" and we pride ourselves in the fact that our construction methodology remains years ahead of our competitors. We are now employing 3D design modeling including stress analysis to deepen our understanding of Gunite concrete construction. This allows for the construction of more complex pool designs with a level of precision that was unheard of, even a few years ago. We continue to scan the horizon for the latest developments in our field and are excited about what is coming, especially with respect to automated control systems and interior finishes. Family Ties: Even as we mourn the loss of our father, there are now ten extended family members involved in the company. We are the epitome of the "small family business" and proud of it. Some of our key people have now been with us for over three decades, ensuring that our customers can count on us, year-after-year. 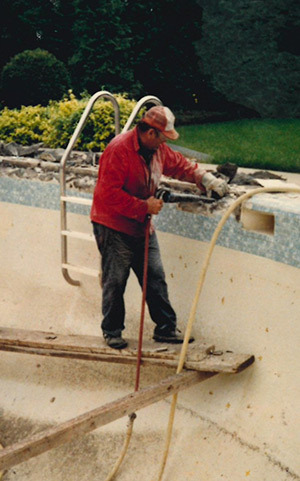 We firmly believe that a properly constructed Gunite concrete pool should be viewed as a permanent addition to your residence that should add value and provide decades of trouble free use. The only way to achieve that lofty goal is through a stable work force. We understand that the customer is opening their backyard to us and we make sure that our staff are professional and responsible at all times. Here’s to another great season! 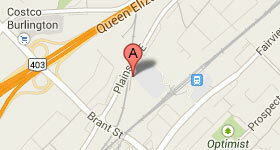 Oasis Pools Ltd was founded in 1956. We specialize in advanced "Gunite" concrete pools, spas, fountains and water features. After over 60 years of building the very best pools, we remain committed to the quality, beauty and durability of modern concrete construction.